Intermittent fasting is gaining popularity in the dieting and exercise communities, and for good reason. 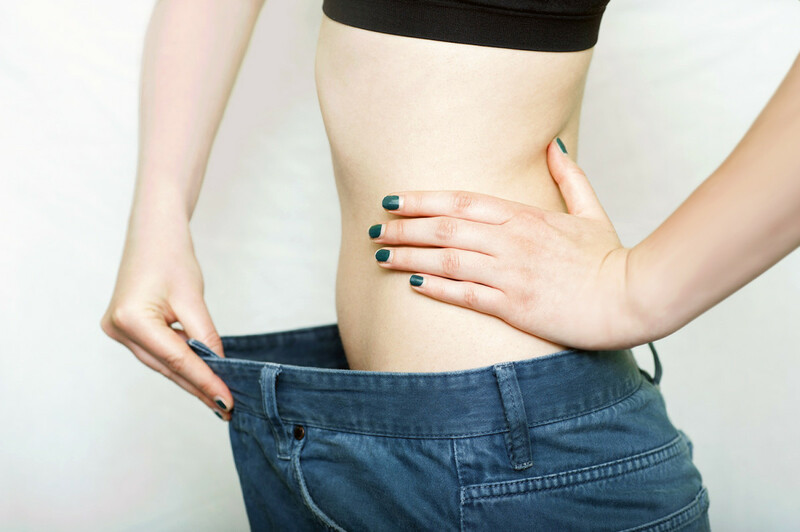 This form of eating can notably reduce one's waistline and help shed unwanted body fat. 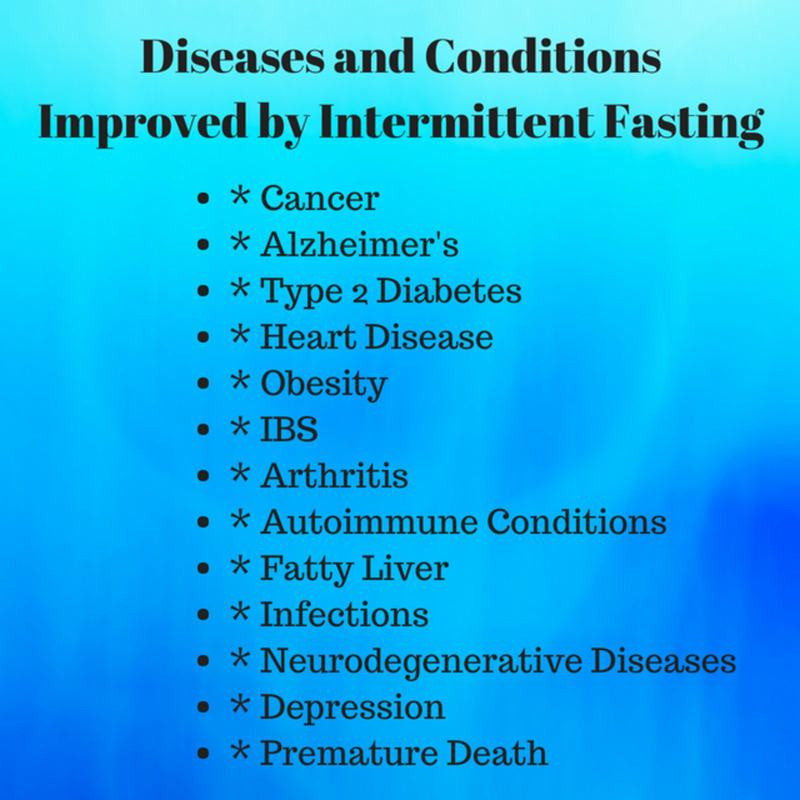 But more importantly, studies now suggest that intermittent fasting (IF) has a host of health benefits that range from disease prevention and reversal to increased longevity. Although various forms of intermittent fasting exist (as we shall see below), typically when someone implements IF, they are consuming the day's calories during a condensed time window. IF cycles between fasting and regular eating with the emphasis on longer periods of fasting or gaps between meals. When someone fasts, they may consume water, coffee, or tea, but the overall caloric intake is minimum ... usually less than 100 calories and certainly no more than 500 calories. 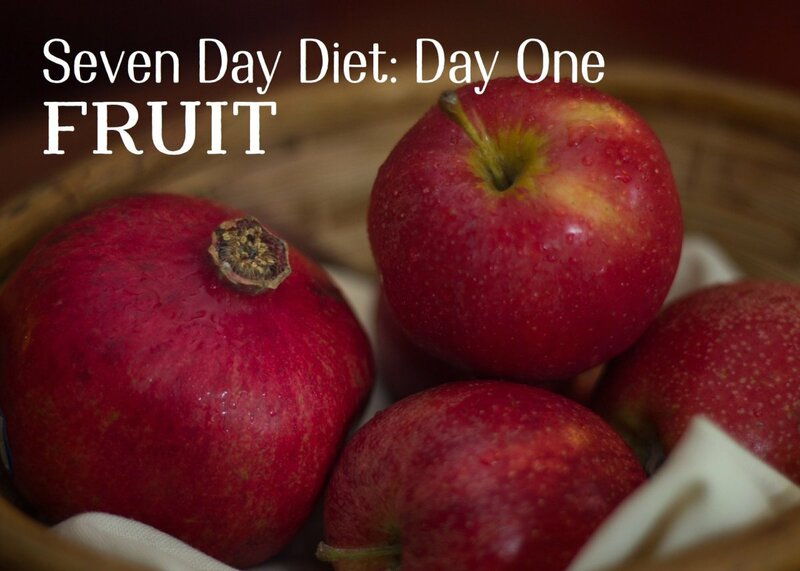 Giving the body a break from digestion permits it to work on detoxification and healing at the cellular level. Also, during fasting, blood sugar and insulin surges are halted which allows the body to work through its glycogen stores and to consequently be fueled by ketones instead. A fasted person can then "burn" fat instead of sugar. Weight loss often follows as a result. The man carries within him a doctor; you just have to help him do his work. If the body is not cleared, then the more you feed it, the more it will be harmed. When a patient is fed too richly, the disease is fed as well. Remember – any excess is against nature. 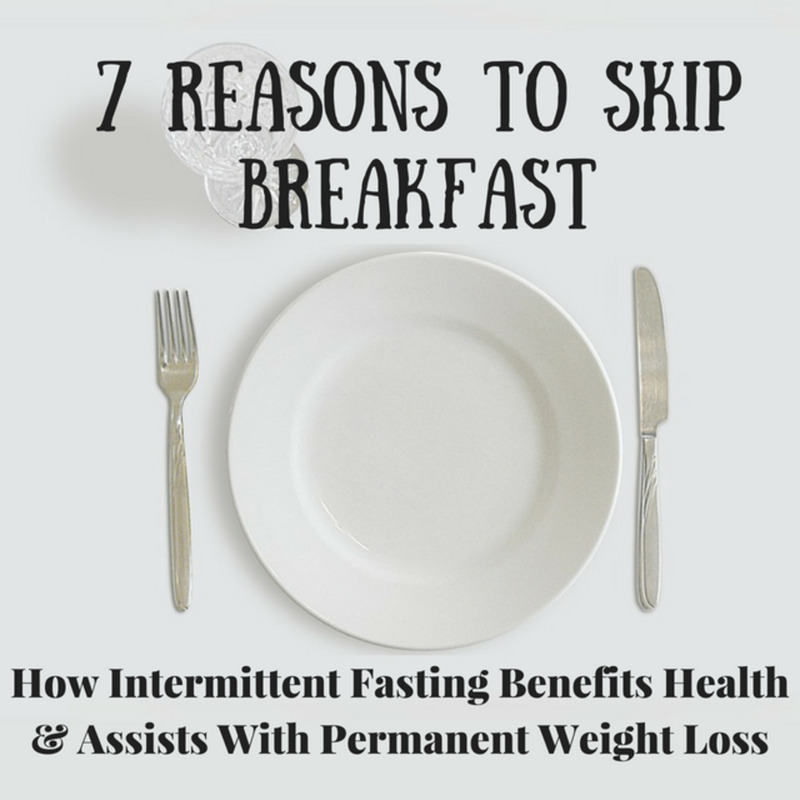 A number of body systems and organs benefit from the healing effects of intermittent fasting. Because fasting allows the body to repair at the cellular level, rejuvenation and restoration can be accomplished. This is especially helpful in certain disease states and conditions and when weight loss is desired. Fasting decreases oxidative stress and inflammation, both of which can lead to diminished cognitive functioning. IF increases levels of a brain hormone called brain-derived neurotrophic factor (BDNF), a deficiency of which has been implicated in depression. Also, a study in rats showed that intermittent fasting may delay the onset of Alzheimer's disease or reduce its severity. Alzheimer's is colloquially known as "Type 3 Diabetes," meaning that chronic elevated blood sugars can interfere with normal brain functioning, perhaps leading to dementia. When the body uses ketones for energy, as during a fast, these ketones override the utilization of glucose and provide alternative energy for the brain. Another study review demonstrated that IF could improve neuronal damage and functional outcome in animal models with neurological trauma such as stroke and with neurodegenerative disorders such as Parkinson's disease and Huntington's disease. Fasting has been shown in studies to decrease blood pressure, cholesterol, trigylcerides, and other inflammatory markers. 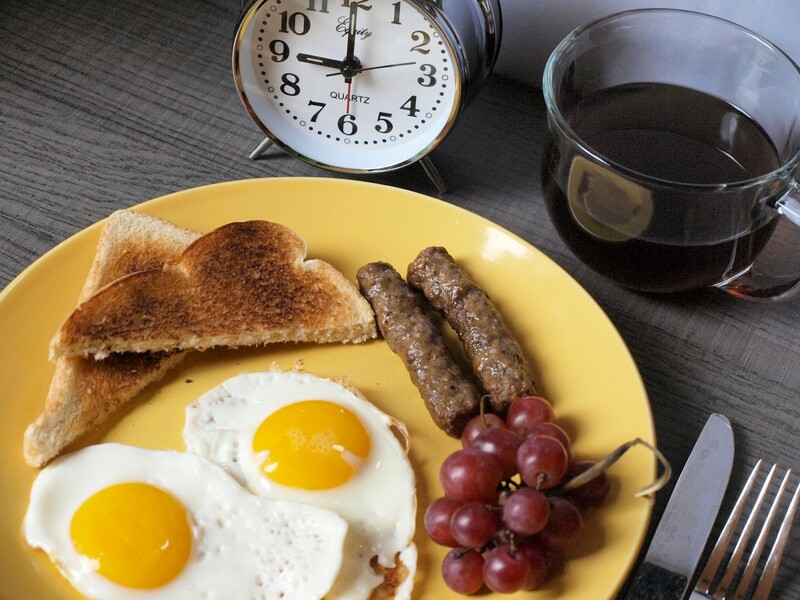 Intermittent fasting and better heart health may also be linked to the way the body metabolizes cholesterol and sugar. Regular fasting can decrease LDL ("bad") cholesterol and improve efficient absorption of sugar and insulin sensitivity. This can reduce risk of gaining weight and developing diabetes, which are both risk factors for heart disease. Fasting helps boost metabolism. A 2014 review found that intermittent fasting could help people lose an impressive 3–8% of their body weight in 3–24 weeks. In a 2017 study published in the journal Cell Research, researchers exposed groups of mice to sixteen weeks of intermittent fasting. At the study's end, mice in the fasting group weighed less than those in the control group and had lower fat build-up in the white fat but increased brown-like fat (involved in burning energy and producing body heat). It's also interesting to note that blood levels of Human Growth Hormone (HGH) rise during a fast. Higher levels of this hormone facilitate fat burning and muscle gain. During IF, once stored glycogen is depleted, ketones take over, generating steady, clean-burning energy with less toxic by-products than glucose. And without glucose to burn, the body begins to work on burning fat. Ketones also help hunger fade away and provide consistent energy. 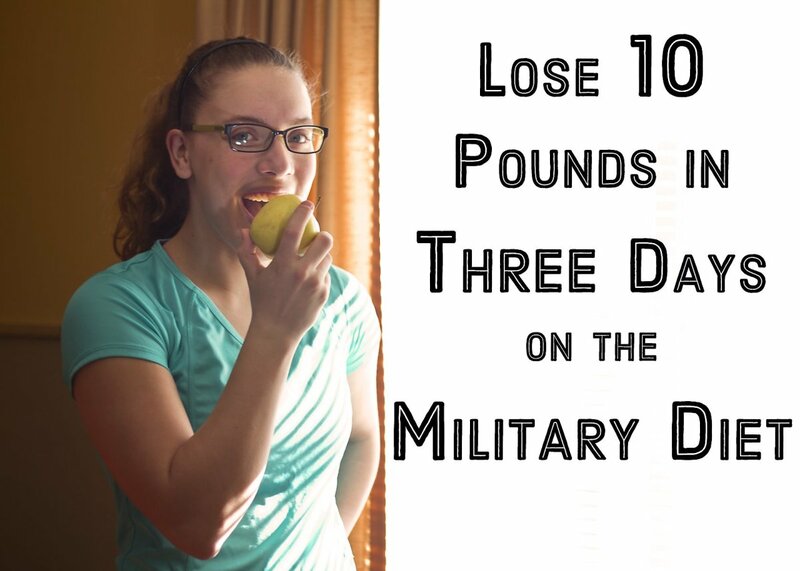 IF may help keep weight off long-term. 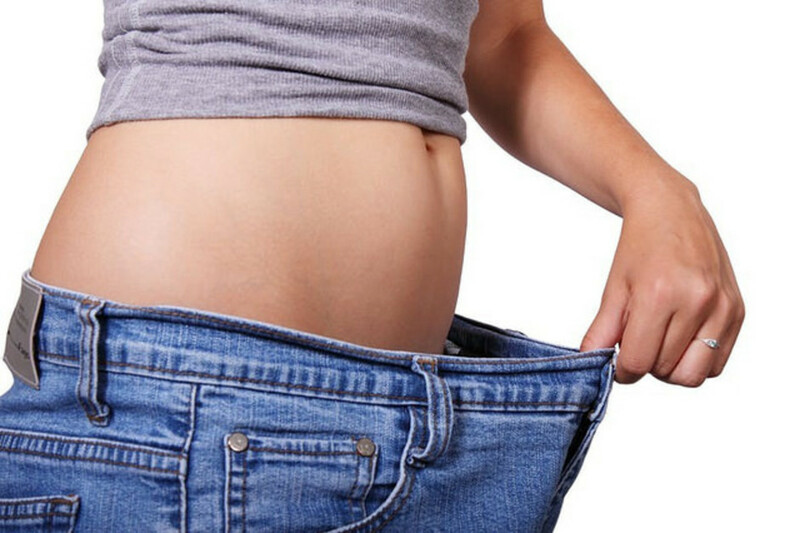 Often when people diet, they fear losing muscle along with fat. Research shows, however, that those who implement intermittent fasting tend to spare muscle. Remember that HGH rises with fasting. This is important because HGH assists with muscle gain. A study is the New England Journal of Medicine found that decreased HGH levels translated to decreased lean body mass and increased fat stores. Another study review showed that intermittent fasting caused less muscle loss than continuous calorie restriction (as would be the case with typical dieting). Researchers pointed out that intermittent fasting may be more effective for the retention of lean mass than other types of calorie restriction. Blood markers of cellular inflammation tend to decrease during IF. This translates to fewer pathological states in the body, namely those associated with inflammatory conditions like autoimmune diseases and cancer. During IF, a process called autophagy takes place. Essentially, this is "waste removal" at the cellular level. Autophagy maintains homeostasis by degrading harmful proteins and turning over destroyed and damaged cells in favor of new healthy cell formation. Fasting can actually help to create a stronger body with more robust immunity. When inflammation is decreased, symptoms of autoimmune conditions can ameliorate. Likewise, diseases like cancer, which stem from chronic inflammation, may be prevented. In fact, in human observational studies, prolonged overnight fasting (at least 13 hours per night) has been associated with reduced risk of breast cancer recurrence in women. The liver plays a role in the production of both blood sugar and ketones. The liver acts as the body’s glucose reservoir, and helps to keep circulating blood sugar levels steady and constant. It both stores and manufactures glucose depending upon the body’s need. During a fast, stored glucose (glycogen) is released into the bloodstream for energy. However, once those stores are depleted, the liver begins to release ketones. This process helps to improve insulin sensitivity. Insulin resistance is the hallmark of pre-diabetes and diabetes. Fatty liver disease is also on the rise in the United States. No longer is cirrhosis equated only with alcohol abuse. Reducing consumption of carbohydrates and/or reducing daily blood sugar and insulin surges helps to prevent a fatty liver. Researchers from the aforementioned study in Cell Research suggest that intermittent fasting can be a preventative and therapeutic approach against obesity and metabolic disorders like Type 2 diabetes and fatty liver disease. During a fast, the body takes a break from the energy-demanding process of digestion. Digestion itself can cause inflammation, especially if conditions like low stomach acid or leaky gut are present. Markers of inflammation in the intestines are reduced by IF because it allows the gut a prolonged period to rest and recover. The gut can then heal and reseal. When we eat also affects our gut microbiome. The 2014 study published in Cell Research also found that mice fed intermittently had improved levels of obesity-protective bacteria as compared to mice who ate an unhealthy diet ad libitum. 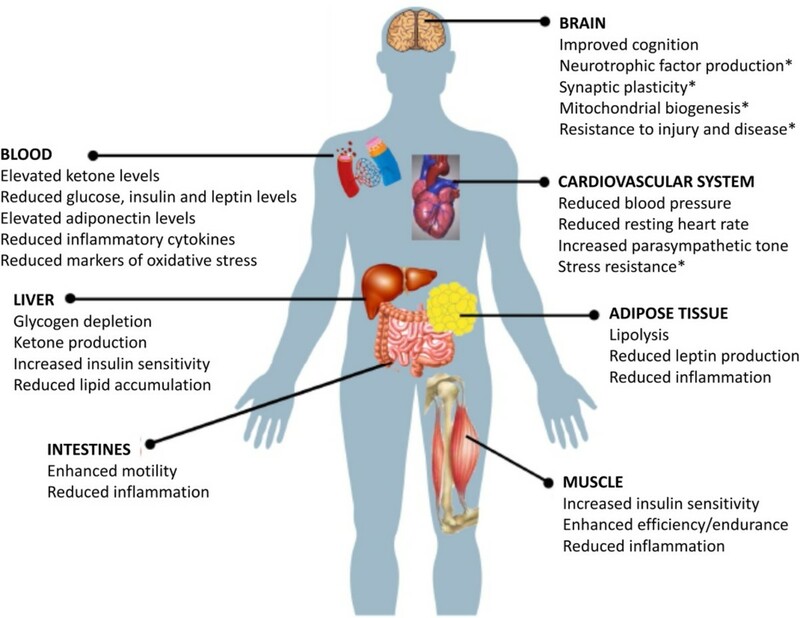 Food restriction, and the turning of that metabolic switch, can lengthen lifespan, improve metabolic health, cognitive and physical performance, lower inflammation and lead to superior cardiovascular health. Various types of IF exist. The word "intermittent" suggests that one is not fasting completely and/or for lengthy periods of time as would occur during something like a three-day fast, for example. Rather, a person would select a window of time in which to eat, and for the remainder of the day, they would remain in a fasted state. The table below gives some examples of IF strategies. As you can see, some IF strategies are certainly more intense than others and require lengthier periods in a fasted state. There is no "one size fits all," and each person will need to determine which type fits their lifestyle and health goals. Each of the strategies listed above can also be adapted and modified. For example, if you like to eat breakfast, you could consume your calories earlier in the day and fast during the typical dinner time. Another example might be to follow a 16:8 fast every other day or for a couple days out of the week. Or perhaps, alternate day fasting might be useful for a month and then normal eating patterns would resume for a month, cycling on and off. Which Method Does Research Support? A 2016 study followed 34 resistance-trained men over an eight-week period who either followed a 16:8 intermittent fasting strategy or ate a normal diet. Researchers found that the 16:8 strategy could "improve some health-related biomarkers, decrease fat mass, and maintain muscle mass" better than following a normal diet. In a 2016 meta-analysis of studies that reviewed various intermittent fasting practices, researchers determined that "almost any intermittent fasting regimen can result in some weight loss." They went on to acknowledge that there is insufficient data to determine the optimal fasting regimen. However they did note that "evidence supports the hypothesis that eating patterns that reduce or eliminate nighttime eating and prolong nightly fasting intervals could result in sustained improvements in human health." Thus, weight loss and health benefits probably result from various IF strategies. Hours fasted seem not to matter as much as just ensuring that breaks are taken from eating. Sleep at least 7 hours each night. You'll sleep through a good part of your fast. Plus, better sleep has a positive effect on metabolism. Manage stress. Stress contributes to weight gain. IF can be a stressor on the body, albeit a good one, so reducing stress in other areas is crucial. Incorporate the Right Kinds of Exercise. Quick bursts of exercise like HIIT help deplete glycogen stores and reduce body fat. Slow and steady exercises like walking and yoga are also fine to do. But, endurance-type exercises, such as running long distances, are less helpful while fasting since they can often lead to hunger or overeating. Alternatively they may create low energy and undue stress on the body because of the calorie restrictive nature of fasting. So, shorter and/or slower exercise is best. That being said, IF will likely still help with weight loss even if you can't exercise. Start slowly. Begin with 12-hour fasts, even on alternate days and work your way towards longer periods of fasting. This helps your body acclimate to the change. Eat a diet lower in carbs and higher in fat. When you eat fewer refined carbohydrates, your body more easily becomes fat-adapted and satiated by food. Blood sugar and insulin levels remain low. You'll also deplete glycogen stores quickly and readily shift to ketone burning. Hydrate. 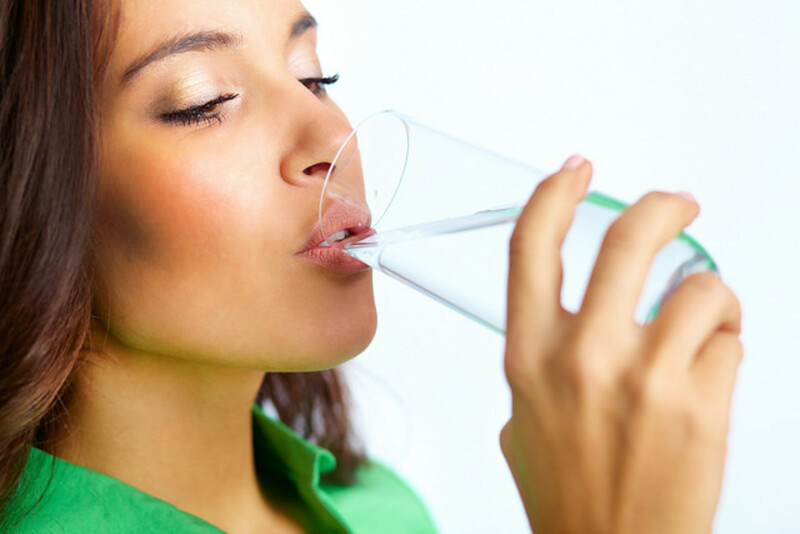 Drink more than you think you should, at least two liters a day. Hydrating your body during IF will reduce hunger, ward off fatigue, stabilize adrenal glands, and stimulate bowel motility. Replace electrolytes and minerals. We excrete sodium during a fast. Adding a pinch of Himalayan sea salt to your water throughout the day helps to maintain micronutrient and mineral stores. Don't gorge after your fast. Eat normally after breaking your fast. You may be feeling hungry and craving sweets, but if you stick to eating a normal meal that consists of vegetables and fiber, protein, healthy fat, and low-starch carbohydrates, you will have greater success at weight loss and blood sugar regulation. This will also make it easier to fast the next time. Pregnant and nursing women should not fast. Calorie and nutrient demands are high during these phases of life. Children should eat normally and maintain enough calories for their growing bodies. Eating Disorders: If you have a history of an eating disorder, restrictive eating patterns may re-ignite bingeing or under-eating tendencies. 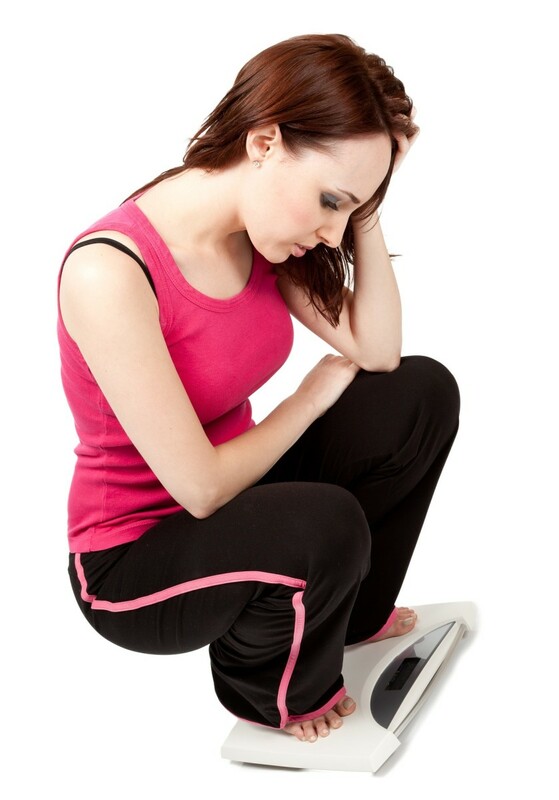 Underweight: Those who are underweight can't afford to lose too much body fat and many suffer from low blood pressure or low blood sugar. Sufferers of adrenal fatigue. Adrenal fatigue (AF) causes cortisol and blood sugar imbalances. Many people with AF need to eat throughout the day in regular intervals to maintain good blood sugar control. 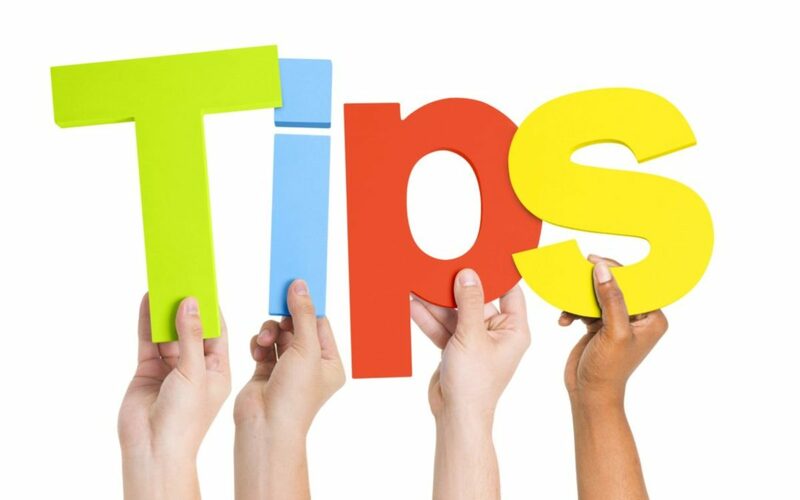 Type 1 Diabetes: Those with Type 1 Diabetes can fast and may actually experience better blood sugar control. However, be careful if you're taking insulin. Insulin injection amounts may need to be altered to fit this new lifestyle. Always consult with your physician before participating in intermittent fasting. Certain medications: If you are on medications that need to be taken with food, this may prohibit a fast. Anton, Stephen et al. "Flipping the Metabolic Switch: Understanding and Applying the Health Benefits of Fasting." Obesity Research Journal, 31 October 2017, https://onlinelibrary.wiley.com/doi/10.1002/oby.22065. Gunnars, Kris. "10 Evidence-Based Health Benefits of Intermittent Fasting," 16 August 2016, Authority Nutrition, https://www.healthline.com/nutrition/10-health-benefits-of-intermittent-fasting. Fredericks, Kim. "Proven Benefits of Intermittent Fasting," Reader's Digest, https://www.rd.com/health/wellness/intermittent-fasting-benefits/. Virgin, JJ. "Why Intermittent Fasting is the Best Thing to Ever Happen to Your Metabolism," 22 January 2018, https://www.mindbodygreen.com/articles/why-intermittent-fasting-is-the-best-thing-to-ever-happen-to-your-metabolism. Benshosan, April et al. "Intermittent Fasting Benefits Backed by Science," 20 April 2018, https://www.eatthis.com/intermittent-fasting-benefits/. Cohut, Maria. "Intermittent Fasting May Have 'Profound Health Benefits,'" 1 May 2018, https://www.medicalnewstoday.com/articles/321690.php. Levesque, Bill. "Intermittent Fasting Leads to Significant Weight Loss, Slows Aging, UF Research Review Finds," 26 April 2018, https://ufhealth.org/news/2018/intermittent-fasting-leads-significant-weight-loss-slows-aging-uf-research-review-finds. Jockers, David. "5 Healing Benefits of Intermittent Fasting," https://drjockers.com/5-healing-benefits-intermittent-fasting/. @Lipnancy Wow! What a testament to IF! Good for you! Congratulations on your success. Thanks for the input on your experience with exercise. Love hearing about others’ journeys. I have lost 30 pounds over the past year practicing IF. Most weeks I fast for 24 hours for 2 or 3 days and 18 hours the other 4 days. You actually don't need to follow any exercise program, if you stay true to the fasting plan. I suggest a staying in motion plan rather than vigorous aerobic exercise.